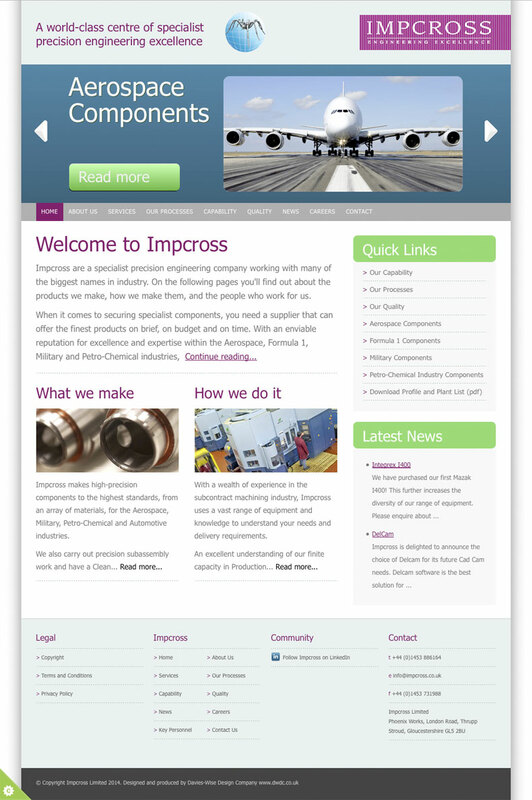 Impcross are a world-class specialist precision engineering company based in the Stroud Valleys, working with many of the biggest names in industry and the Impcross web site reflects this. 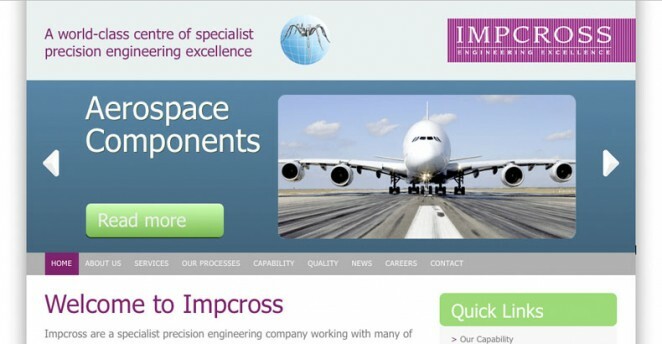 With an enviable reputation for excellence and expertise within the Aerospace, Formula 1, Military, Chemical and specialist machining industries, Impcross has become a world-class centre of precision engineering excellence. 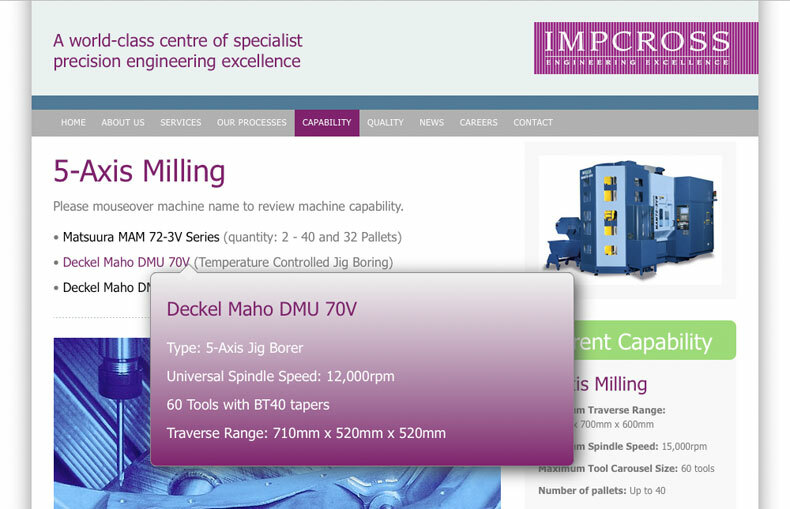 Their web site is designed to reflect an ongoing commitment to quality and continuous improvement, along with easy access to their current capability and capacity enquiries.